Teachers remain at the heart of any successful blended program. Rethink optimal student-teacher interactions in a blended environment. Blended learning is vitally dependent on how teachers interact and work with students. Students stand to benefit if teachers' shifting roles can fill the gaps in students' lives for trusted guides and mentors. Some schools place students in small learning communities with a teacher-advisor or assign students to have the same teacher over multiple years. Consider how blended learning frees up teachers to specialize in activities like mentorship, curriculum development, tutoring, project design, or data analysis. Allowing teachers to find places to achieve, gain recognition, exercise responsibility, and pursue a career path stand to better motivate and retain employees. Create motivating opportunities for teachers. These might include creating new instructional roles, recognizing blended learning leadership, and so forth. Consider allowing teachers to teach in teams or awarding teachers micro-credentials for mastery of new skills. Your reimagined teacher roles should work in conjunction with the student experience you’ve designed. Teachers roles should shift not only in ways that motivate teachers but that support the ideal student experience. Teachers need to find satisfaction in their work--not just the absence of dissatisfaction! Satisfaction depends on motivating factors like achievement, recognition, responsibility, advancement, and growth. Think about how your blended learning program can provide an opportunity to integrate these motivators into your staffing and instructional models. 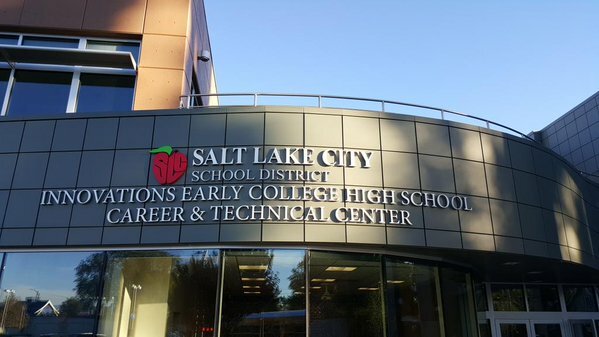 Located in Salt Lake City, Utah, Innovations has unbundled the traditional teaching role to support its Flex model of blended learning. During the school day students are expected to exercise a high degree of autonomy accomplish their individual learning goals. This autonomy is supported by teachers who are flexibly moving between small group and one-on-one instruction depending on the needs of their students. BLU_Print Reflect on what motivates teachers most to perform well and grow professionally—and design around those key motivators.